Long before designers forecasted that the kimono and obi belt would be one of the essential looks for the season, I was sporting an obi. I purchased my first one in a boutique in Las Vegas years ago. I thought it was one of the most unique accessories and had to have it. Over the years, I’ve added 3 more to the collection. They add a certain flair to any look. 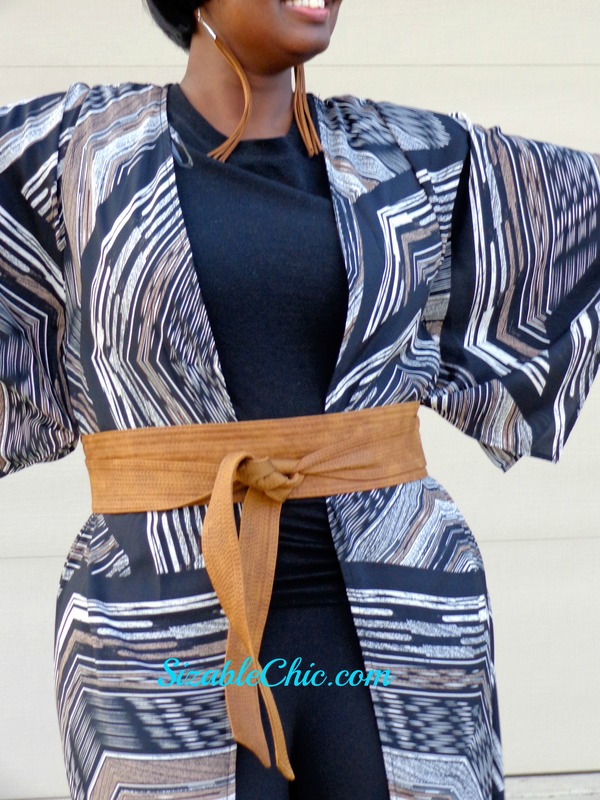 Combine the look of an obi with a stylish kimono and you have a look that can’t be described as anything but fierce. 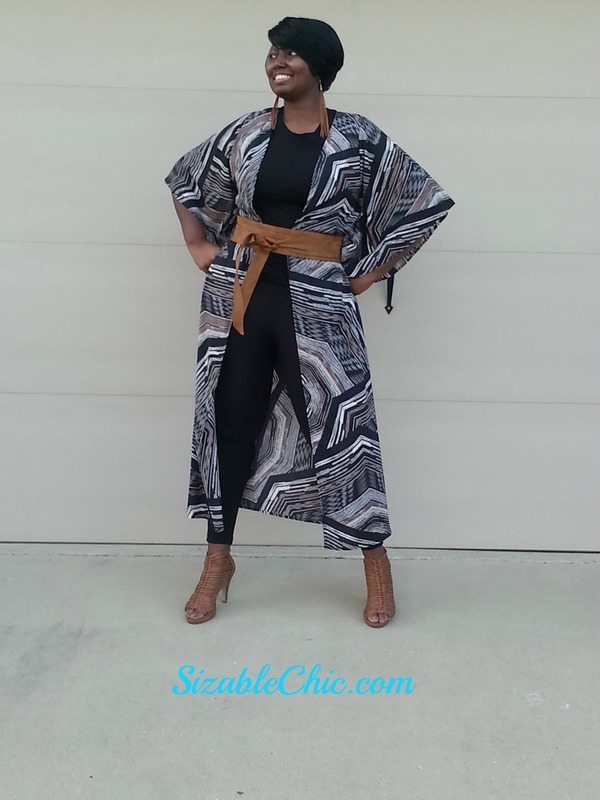 You can find kimonos in all lengths and colors, with fringe or without. Whatever your preference, there’s one for you. If you have been following this blogging journey, then you recall my February visit to Fab’rik in Homewood. If you don’t, click here to read all about it. It was here I scored some great merchandise including some free leggings and this kimono which was originally $72. It was marked down to $5.00 that night (Insert cheesy smile here. I love a great deal and this was a score!). So tell me if the kimono and obi belt are your cup of tea and stay tuned for future ‘Trend Reports.’ In my last post, I showcased the ‘jumpsuit.’ And it was in the ‘o-so-rich’ navy hue. You do know that navy is the new black! Check that post out here: In the Navy. I am a fashion/lifestyle blogger who seriously believes in retail therapy. An artist at heart, I love painting, drawing, writing and anything that lets me express myself. I love all animals, Justin Timberlake, Hallmark movies, apple pie and Nelly! I love your look! I have a kimono I can’t wait to wear! Cute shoes! Thanks. They are so comfortable. Hopefully, you will let us see how you style your kimono. You Can Start Again: Happy Blogiversary!